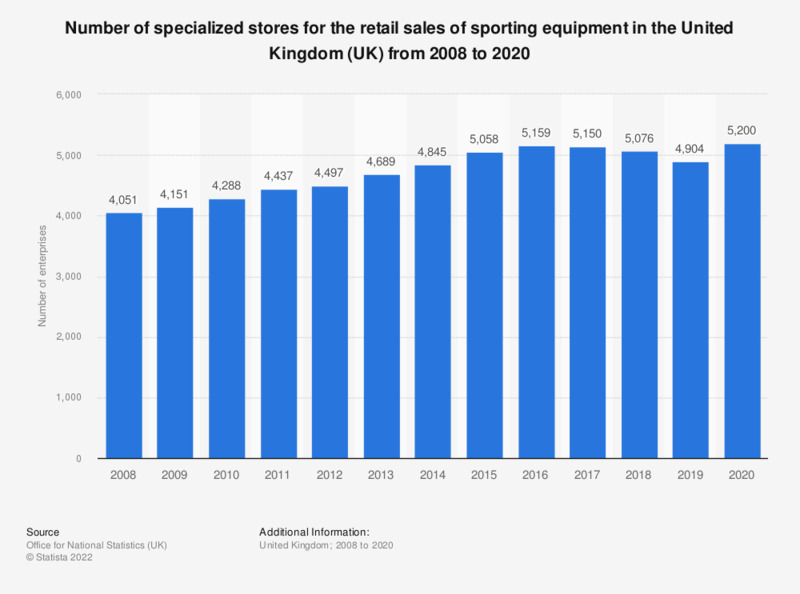 This statistic shows the number of retail enterprises selling sporting equipment in specialized stores in the United Kingdom (UK) from 2008 to 2016. Over the period in consideration there has been a steady increase in the number of sporting equipment enterprises in the UK. In 2016 there were 5,159 sport equipment specialists, an increase of more than 1,100 on the number in 2008.